When you begin to hire for a position in payroll, remember that many duties of this role are central to the smooth running of a business. Individuals working in payroll have responsibility for important tasks such as the processing of payments, PAYE, NI, pensions, any benefits schemes or bonuses, and year-end payroll reporting. What this means is when you set out to recruit from a list of candidates it is important to choose the right person for the job. 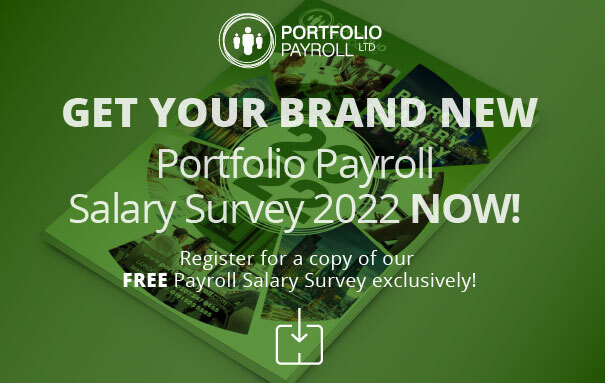 In this guide, the team at Portfolio Payroll take you through the relevant skills and knowledge an applicant should be able to demonstrate during the payroll recruitment process. Who is the ideal professional? Due to the nature of the work in payroll, accuracy and flexibility are key qualities which successful applicants should demonstrate. Generally, most positions require strong teamwork and leadership skills, as well as the ability to weigh up options when making a commercial or financial decision. While proof of practicality and calmness when under pressure indicate a desirable candidate, anyone who has proven their skill with end of year tasks should also be seriously considered. It is worth covering this aspect of the role in more detail. The payroll year runs from the 5th of April, with the end of each year bringing a number of important tasks which those who work in payroll must complete. These end of year payroll duties may include legal requirements and administrative tasks. An example would be the identification of an employee's entitlement to a tax rebate. The most effective way to provide evidence of tax to the government or other sources when they request it is with a P60, which is an end of year tax certificate to show how much tax an employee has paid over the past 12 months. A candidate with experience of tax year ends should therefore have experience in completing these forms. As seen, experience of an end of year situation should be considered an essential skill when searching for a new payroll employee. Portfolio Payroll's knowledge of the market and what makes an ideal payroll recruit has made us the only agency recommended by the Charted Institute of Payroll Professionals (CIPP). When you want to fill a vacancy in payroll, it is worth keeping in mind that many qualified applicants may be available to fill the role. To distinguish the best candidates, give consideration to the courses and qualifications presented, and look into what they mean. As payroll is a unique and specialist area many employers are not fully aware of the skills and knowledge their vacancy requires. Contact us on 020 7247 9455 if you have any jobs in payroll to fill, and we will assist you every step of the way – from writing the job advertisement to pre-screening candidates. Our consultants help the UK's top payroll talent find their next dream job. Ideal when you have a role or vacancy where only the best will do.